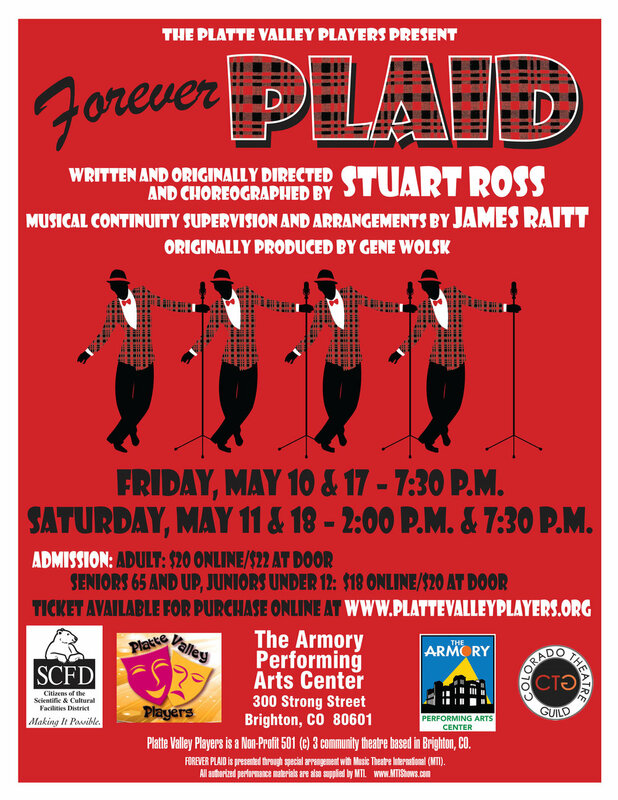 I will be playing Francis in Performance Now's production of Forever Plaid starting June 10th at the Lakewood Cultural Center! I am thrilled to be playing Younger Brother in Performance Now's production of Ragtime at the Lakewood Cultural Center through April 10th. Ragtime is a musical with a book by Terrence McNally, lyrics by Lynn Ahrens, and music by Stephen Flaherty. The music includes marches, cakewalks, gospel and ragtime. Based on the 1975 novel by E. L. Doctorow, Ragtime tells the story of three groups in the United States in the early 20th century: African Americans, represented by Coalhouse Walker Jr., a Harlem musician; upper-class suburbanites, represented by Mother, the matriarch of a white upper-class family in New Rochelle, New York; and Eastern European immigrants, represented by Tateh, a Jewish immigrant from Latvia. Historical figures including Harry Houdini, Evelyn Nesbit, Booker T. Washington, J. P. Morgan, Henry Ford, Stanford White, Harry Kendall Thaw, Admiral Peary, Matthew Henson, and Emma Goldman are represented in the stories. I am excited to be working with Performance Now Theatre Company again! This time I am playing Tommy Albright in their production of Brigadoon. Opens January 8th! A Scottish fantasy about a town that disappears into the Highland mist and returns for only one day every one hundred years. It includes Waitin’ for My Dearie, I’ll Go Home with Bonnie Jean, Come to Me, Bend to Me, Almost Like Being in Love, There But for You Go I, The Heather on the Hill and My Mother's Weddin' Day. This is a tribute to simplicity, true love and goodness, which is hidden from the ordinary traveler. Excited to be taking part in a new opera reading "Behold the Man"! "In an attempt to save a forgotten and sadly deteriorated fresco of Jesus, an elderly woman in Spain tries her hand at its restoration, only to make matters worse. Outrage is rampant and threats are made; even the spirit of the original artist gets into the act. When a photo of her botched restoration goes viral, tourists from the world over arrive—mysteriously drawn to her efforts—helping revitalize the economy of the struggling town. Was it a miracle? Great outsider art? A selfless act of faith? Or just another internet meme?" Saturday, July 18 at The Academy in Boulder. 970 Aurora Street. Happenings, Stories I think need to be shared, People I find interesting.